Why We Don't Trust Our Institutions? 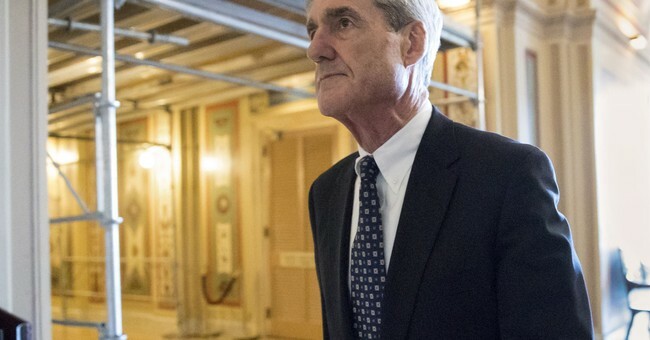 This week, special counsel Robert Mueller released his long-awaited report on alleged collusion between the Trump campaign and the Russian government to impact the 2016 election. His conclusion: no collusion. It's been apparent for quite some time that Mueller would end up here -- every indictment has been based on an ancillary crime, not the chief question of election conspiracy. Nonetheless, the final result came as a bombshell. That's because for two years, the mainstream media have treated Trump-Russian collusion as a reality. Facts would eventually arrive to fill in the gaps in the narrative. Surely, Trump's presidency would crumble when the deus ex machina, the Mueller report, arrived. But that didn't happen. And so the media are left with unending egg on their faces, having suggested continuously for years that Trump was illegitimately elected, and that his campaign had engaged in treasonous activity to prevent the rightful president, Hillary Clinton, from assuming office. That narrative found support in leaders from the Democratic intelligence community. Rep. Adam Schiff, D-Calif., of the House Intelligence Committee spent years camping outside CNN headquarters in a pup tent, ready at a moment's notice to suggest access to secret information that would certainly take down the president. Former CIA Director John Brennan accused Trump of treason, standing on his resume to do so. Former Director of National Intelligence James Clapper stated that Watergate "pales" beside allegations of coordination between the Trump campaign and Russia. Former acting FBI Director Andrew McCabe suggested that Trump could be a Russian cat's paw. Former FBI Director James Comey implied that Trump had fired him for nefarious reasons, not because Trump was angry with Comey for failing to announce that Trump wasn't under investigation. Our intelligence leadership, in other words, humiliated themselves. Meanwhile, in Chicago, Cook County prosecutors agreed to drop charges against alleged hate crime hoaxer Jussie Smollett, who alleged that he was beaten by two white men in the middle of the night on the streets of Chicago. Chicago Mayor Rahm Emanuel called the dropped charges a "whitewash." Chicago Police Superintendent Eddie Johnson bashed Smollett's defense team, explaining, "they chose to hide behind secrecy and broker a deal to circumvent the judicial system." Why have key institutions betrayed their initial mission? Mission creep. The job of the media is to objectively cover stories, not to drive narratives. The job of the intelligence community is to diligently follow evidence, not to follow its cognitive bias. The job of the state's attorney is to prosecute crime, not to play politics. Without defined roles, our institutions crumble. Treating institutions as mere tools to be wielded in pursuit of some higher goal leads to the destruction of those institutions; they become little more than weapons, aimed by those in power. That's dangerous stuff. We should be able to trust our press. If we can't, then we can no longer base our republican decision-making on a common set of facts. We should be able to trust our intelligence community and our prosecutors. If we can't, then we can't support granting them the power they require to protect us. But protecting institutions has taken a back seat to do-goodism. "Objective" journalists see themselves as crusaders; political members of the intelligence community see themselves as protectors; prosecutors see themselves as emissaries of social justice rather than as part of a broader, more objective system of determining guilt and innocence. Institutions only mean more than the people who comprise them when the people who comprise them value the institutions more than their own politics. That's being lost. The result is the continued atomization of our society. Ben Shapiro, 35, is a graduate of UCLA and Harvard Law School, host of "The Ben Shapiro Show" and editor-in-chief of DailyWire.com. He is The New York Times best-selling author of "Bullies." He lives with his wife and two children in Los Angeles.